Fully WEB Based means ANY device anywhere with internet service. 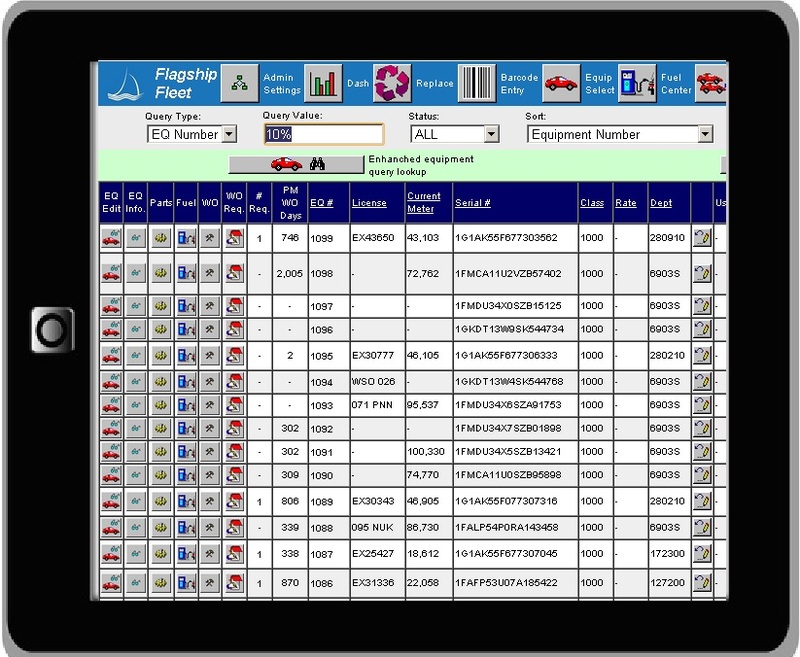 Flagship is the premier fully WEB based solution for operating/maintaining a safe and cost effective fleet. It solves many of the process problems that are very unique to fleet management. It provides the information needed to manage the bottom line and simultaneously provide the best service possible to your customers. WE LISTEN TO YOUR NEEDS! Flagship is flexible because it was designed with help from fleet managers throughout the United States and Canada with years of expertise to solve their fleet management issues. The focus has always been use proven fleet operation procedures to drive the design. The main users responsible for maintaining fleet system data are more interested in fixing equipment, getting pool users on the road or fueling vehicles. The system must be geared to work around the needs of each type of fleet professional. Each area of fleet is provided the specific data and tools to perform tasks quickly and effectively. 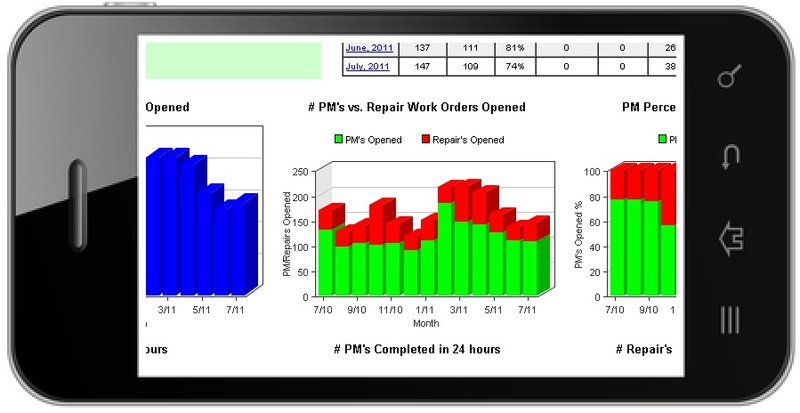 WEB Based Dashboards with drill down, out of the box! Designed for larger fleet operation/WEB deployment, however, we still look out for the little guys! capability in a mobile web environment. Oh, and yes, works great on your PC too!